Multiple construction signs barricading the Central Avenue Bridge on the corner of Lancaster Street and South Central Avenue were officially removed this morning, making way for pedestrians, cyclists, and vehicles to easily travel back and forth between Harbor East and Harbor Point. Construction work to connect the two areas began in January of 2017, and currently, the bridge offers two driving lanes, as well as bike lanes, and pedestrian walkways connecting to Lancaster Street. The new pathway is part of a larger initiative by the city’s Department of Transportation (DOT) to accommodate increased traffic and improve the streetscape along Central Avenue from Baltimore to Lancaster streets. 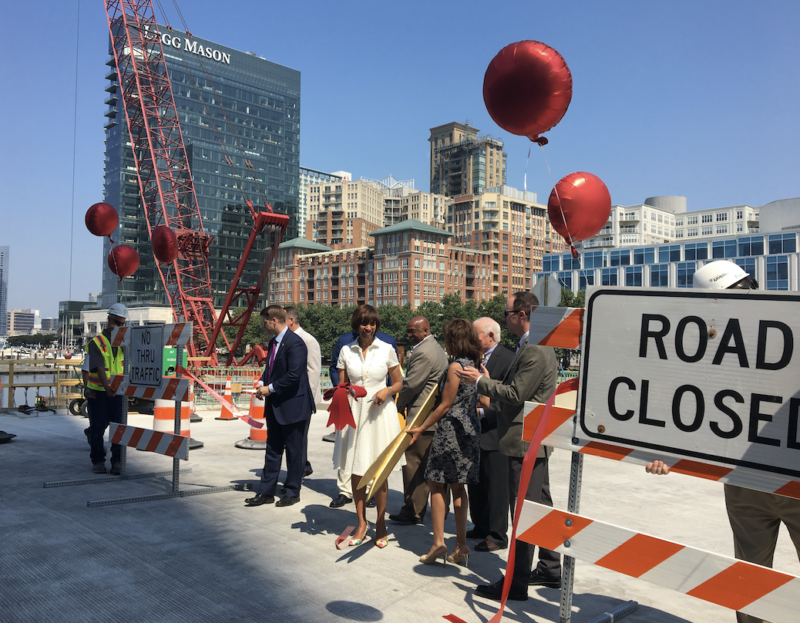 Come September, the completed bridge will extend all four lanes of Central Avenue to Beatty Development Group’s Harbor Point. The 27-acre peninsula houses the Exelon headquarters and Sandlot recreation space, as well as other retailers like West Elm, Ceremony Coffee Roasters, CorePower Yoga, Plantbar, and Honeygrow.